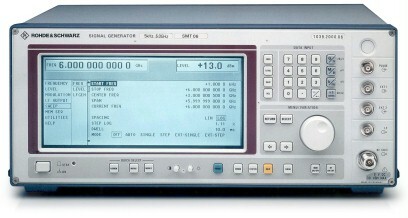 Signal Generator R&S®SMT covers the complete range of conventional analog receiver measurements. It provides high signal quality, as well as outstanding level accuracy, a wide variety of modulation and signal generation modes, customized configuration, and great ease of operation. 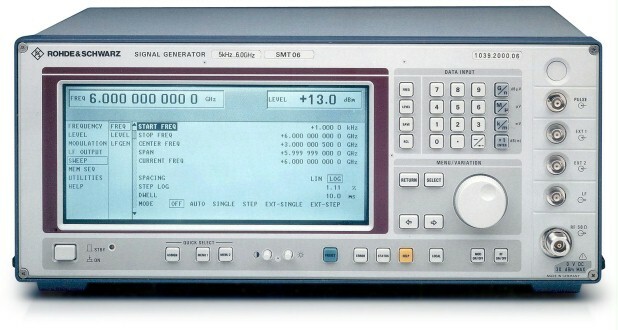 Features such as programmable RF, LF and level sweeps as well as the correction of external frequency response make the SMT an ideal source for EMS measurements.